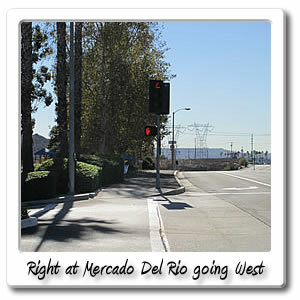 Welcome to Mercado del Rio on the Santa Ana River bicycle trail. 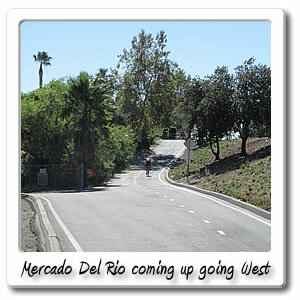 The Mercado Del Rio entry point, is basically right on the Santa Ana River Trail, winding along La Palma Avenue, in the City of Yorba Linda. This is a shopping center, that's about medium size. You can find it half way through the 23 and 24 mile markers, which is also how far it is from, Huntington Beach, right at the mouth of the Santa Ana River, as it empties out to the Pacific Ocean. You are about 2 hours of a ride from there. 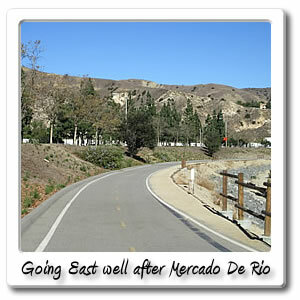 If headed to Green River Road in the City of Corona, you're about 5.3 miles and 26 minutes from there. 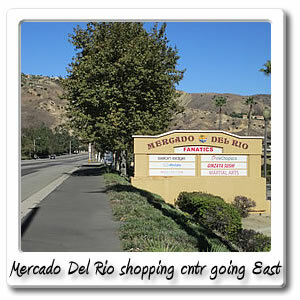 More about the Mercado Del Rio Shopping Center, if getting there by car, I'm not sure if you can park for extended times in their parking lot. 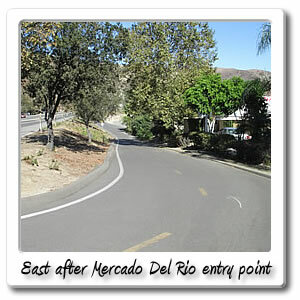 Otherwise you would want to turn around on La Palma Avenue, and head West,past Yorba Park, and pull into the free lot, that's right on the corner of La Palma Avenue and Fairmont Boulevard. 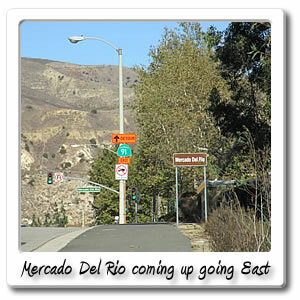 The other place you might be able to park at are some of the other shopping centers, that will be coming up going East on La Palma and the Santa Ana River Trail. There's a hamburger place and coffee place in the Mercado Del Rio Shopping Center. There's other suites nearby and the Riverbend Car Wash by the East side. Other than that there's a dentist and preschool. There's only a couple of choices for food or drink. 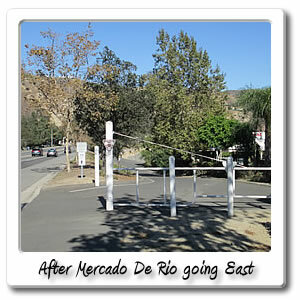 That's why you're better off, getting off the Santa Ana River Trail at Weir Canyon Road and Yorba Linda Boulevard, and going South. 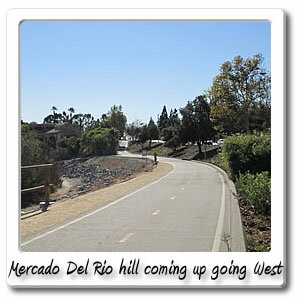 There are several choices for food or drink there, see the Weir Canyon Road and Yorba Linda Boulevard page for more info. 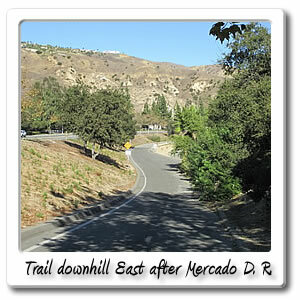 Via Lomas De Yorba East entry point also has some food and drink available there too, going East, so take a look at that page too, if you're going either of those ways.